Home » Blog » Spreadsheets: How Much of a Problem Are They? It is often said that MS Excel is by far the most widely used engineering tool on the planet, and I suspect that is true. But, there are many concerns over proper management and governance of spreadsheets. In CIMdata’s engagements with clients, usually in product engineering, we find that spreadsheets are pervasive and entirely unmanaged. They belong to individual users, and are freely shared. There is no way to track changes, and no metadata information to describe the provenance or suitability. Some companies have elaborate spreadsheets that are used to support critical up-front decisions on product configurations. 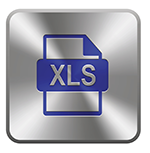 At others, spreadsheets are applications that invoke macros and scripts, and even other applications. Often, there is no governance for spreadsheets that contain data such as material properties. CIMdata has various recommendations to confront this situation. They are generally to establish governance procedures, and to use content manager applications to provide metadata, change control, traceability, and the like. Please do take 15 minutes or so to answer their questions. The perceived problem with spreadsheets is that they are unmanaged, uncontrolled, and not traceable. (The allure is that they are unmanaged, uncontrolled, and not traceable. *) No, seriously, spreadsheets are a great tool for the democratization and the empowerment of ordinary users due to the very low cost of ownership and ease of use, but they have grown to fill critical and important functions in many organizations, often with disastrous consequences. Even aside from the built-in bugs (such as the century leap year bug and the zero date difference between PCs and Macs), there are legions of stories where spreadsheets have been misused, often intentionally. Estimates of mistakes in (hidden) spreadsheet formulas and calculations are surprisingly high. So, what to do? Please help NAFEMS to start their assessment and then formulate recommendations by completing the survey. * In my opinion, this is intentional. The allure (by design) of personal devices is their openness and accessibility. IBM (at least the PC people) and Microsoft fully intended to empower the users and break the rigid constraints of mainframe computing. The unfortunate result has been unmanaged tools and a myriad of security holes. On balance, CIMdata believes the technology is still a good thing but it is time to get a handle on this important tool and the copious amount of business-critical information it contains.